A local hip-hop artist has a brand-new album—seems common enough. But wait—what makes this occasion monumental is that it’s the very first solo effort from one of the scene’s most influential members. Over his eight-year career, Dusk Raps (Ryan Woodward) has had some notable moments. 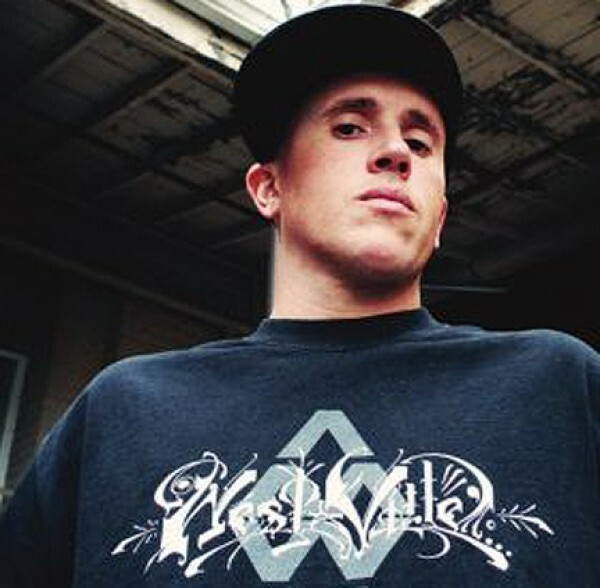 He was one-third of Salt Lake City hip-hop stalwarts MindState, with his brother DJ Honna and Espo Digital. The trio put out four releases over five years, including their best, the full-length Call the Cops, featuring “Easy Now,” which garnered much attention locally and became a staple of the group’s set. Soon after, Dusk jumped onboard with the “Alive & Well” tour, and traveled across the country with fellow Utah performers YZE, Pat Maine and MC Pigpen. Simultaneously, he started penning new material. In 2010, Dusk put out two releases. The first was Smoke Rings Beat Tape, a single-track release of lo-fi beats and samples he didn’t have slotted for other tunes; he released it as a free download for other rappers and producers to use. The second was The Brady Effect EP, a project he worked on with Fisch Loops from Rotten Musicians, and recorded with Andy Patterson. It is comprised of three tracks that sampled music from the classic TV show The Brady Bunch. And, Dusk took part in the 2012 City Weekly Music Awards hip-hop showcase. When the time came to work on his first solo album, Throw Away the Key, Dusk knew he was going to collaborate with some of Utah’s finest beatmakers and visiting producers. Brisk Oner, Finale Grand, Fisch Loops, Joe Cyrus (Portland, Ore.), Pen Pointz (Canada), Captain Midnite (Seattle), Yoga Flame Kane and Linus Stubbs all contributed beats, flows and effects for Dusk to manipulate. But the process of creating the songs was a one-man production. The album took roughly a year and a half to complete, with several stop-and-go issues along the way, including Dusk taking time to work on other projects and a case of writer’s block. It was worth the wait, though, as the time helped him create fresh songs. Most of the album was recorded at Ghost Recon with Brisk Oner, with additional tracks recorded at The Penalty Box with Mike Booth. During these sessions, he hooked up with producer Josh Punx and got to work with national talent like Jack Cracker of The Crest, UBI of CES CRU, and Adef of Soulcrate Music—each brought a unique style to the studio to give the album a different flavor from its original blueprint. Throw Away the Key is a clinic of pure hip-hop. Like a mic-wielding jack of all trades, Dusk seamlessly flows from slow-jam deliberation to cool-beat poetics to fast-paced anger, switching emotional gears with little deviation from his voice. Every track sets the tone perfectly, showing almost perfect collaboration between Dusk and every collaborator brought on board. Tracks like “Owe You One” and “The Hammer Swings” practically call for hands to raise high and bodies to move to the beat. Friday, June 29, 9 p.m.